So who is this mysterious girl that lives with Masumi at the hotel? 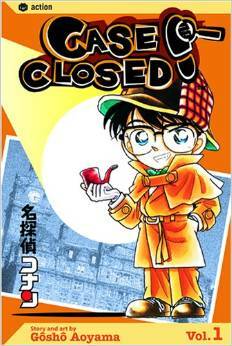 In file 875 Masumi asks Conan to find her phone, and in it he sees a picture of Masumi with a seemingly middle-school aged girl who looks a lot like her. But Masumi makes no mention of other relatives besides her two siblings. 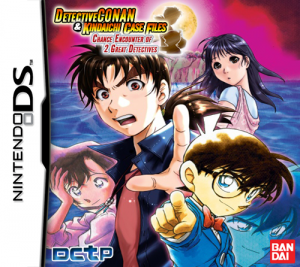 In the following case Conan spots this Mystery Girl in the hotel Masumi lives in and later the two of them break a bug Conan left in their room. Mystery Girl is impressed by the bug, but claims she doesn’t trust Conan yet. If Conan asks about her, she instructs Masumi to tell him that she’s “the little sister from outside the domain”. The next time she makes an appearance is when she watches Shūkichi’s Shogi match on TV. In the following case, Masumi asks Conan to come alone to her place. Mystery Girl says that if Conan doesn’t live up to their expectations, they’d have to leave and find “a new stronghold”. However, Ran and Sonoko come along with Conan, so it was never revealed what Masumi planned to talk about with Conan. At the end of the case, Ran too spots Mystery Girl and feels like she met her before. After the case in Ramen Ogura (file 930), Ogura asks Conan to give Masumi back a handkerchief she lost at his place previously. The handkerchief is embroidered with the name “Mary”. Conan suspects that perhaps Mystery Girl’s name is Mary, plus he has the feeling he met her before and heard that name too. In file 941, Haibara rubs her eye and due to some makeup that remained on her face, it looks as though she has lines under her eyes, which make her look like Mystery Girl. Conan later wonders if it’s possible that Haibara and Mystery Girl are related by blood (and in extension, related to Akai Shūichi too). Lastly, each time Mystery Girl appears in person, she coughs and seems pretty sickly. The most popular theory regarding Mystery Girl is that she’s called Mary and she’s Masumi’s mother, who was shrank by the APTX4869 at some point. An extension of this theory also suggests Mystery Girl is Miyano Elena’s sister. To explain this theory we shall break apart its three components. 1) The dynamics between Mystery Girl and Masumi don’t reflect their ages properly. In fact, Mystery Girl is the one who instructs Masumi on what to do. In general, she seems to be the one who calls the shots. Mystery Girl’s constant coughing could also be a side effect from the drug. 2) Since Masumi’s introduction, she has mentioned her mother several times. When talking about her bust size, she says her mother’s breasts are pretty big and asks Ran for affirmation as though Ran should know this. Ran thinks she never met Masumi’s mother before, but Mystery Girl does seem somewhat familiar to her (we’ll talk more about this issue in Part Three). Furthermore, Masumi makes no claims of having a sister, but Mystery Girl does resemble Masumi, and her eyes look like Shūichi’s and Masumi’s. This also means that Masumi lied about her mother being in the United States. 3) In an interview from a few years ago, Gosho claimed there are two mothers in the series who are also sisters. Conan sees resemblance between Haibara and Mystery Girl. Moreover, Masumi has been shown to have some British tendencies (such as referring to soccer as “football” for example), thereby suggesting she has some connections to the UK. It’s possible this British connection comes from her mother, especially considering her name is probably “Mary”. Elena was also British, hence another dot of connection between the two. This theory, however, does bring up the implication that Shūichi had a romantic relationship with his own cousin (Akemi). It’s unclear what “the little sister outside the domain” is supposed to mean. You need to add the fact Masumi called “mama” in chapter 953 (i think) when entering their room after the case solving.